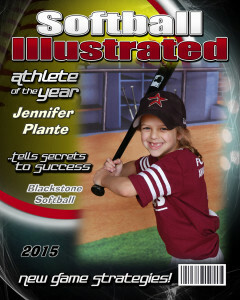 With a Special design for every sport, make your child feel like a star on one of our personalized magazine covers. 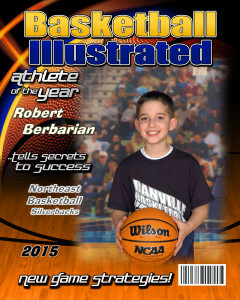 The cover includes a large, glossy photograph of your child with his or her name displayed as the magazine’s feature! The digital trading card is by far the most popular item available for all ages and sports. 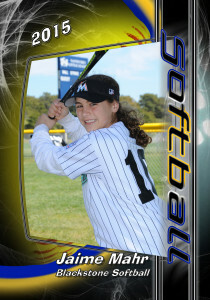 The digital card is designed to have the same appearance and feel as a pro sports card. 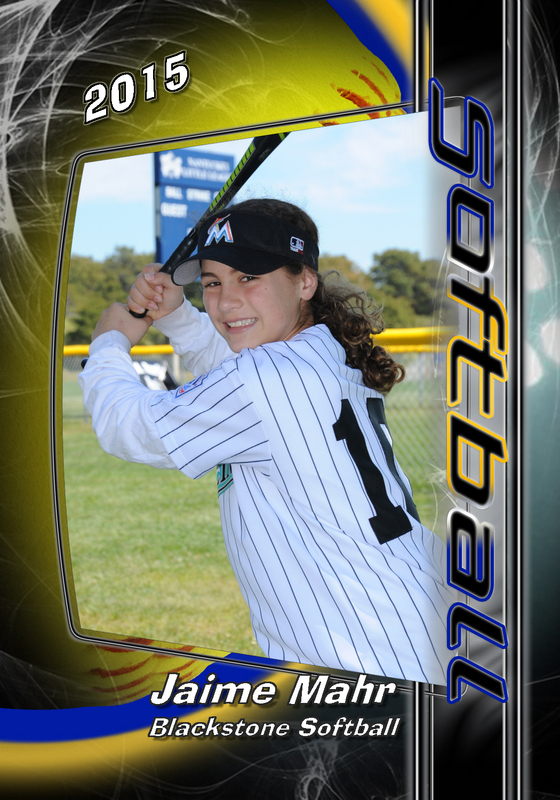 The cards are 100% UV coated and have the players statistics on the back.! Still one of our most popular items, the personal key chain dazzles any set of keys. Made from the toughest acrylic, these key chains are delightful and virtually unbreakable. 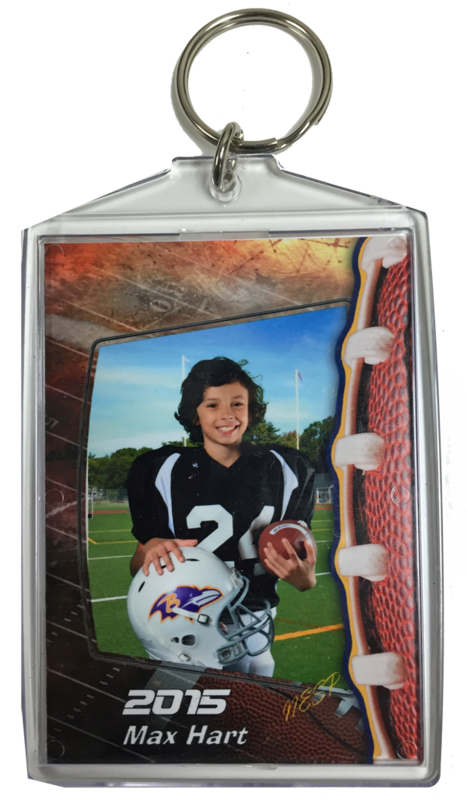 Be your child’s biggest fan by showing them off right on your set of keys. There is nothing better to complete your home PC or office computer than a customized, digital mouse pad. 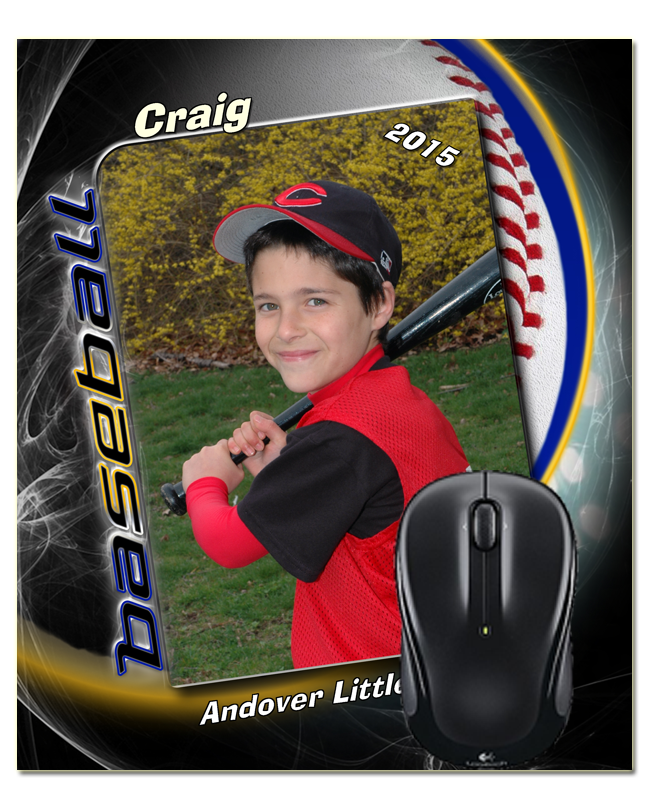 Generated from the finest digital imaging capabilities, the mouse pad contains the player’s photograph, his/her full name. 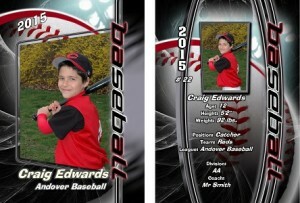 Feel like a professional with our fully customized game tickets. These tickets are not only great for admission to your child’s game, they also double as a book-marker ! ! Show off your player in a big way. 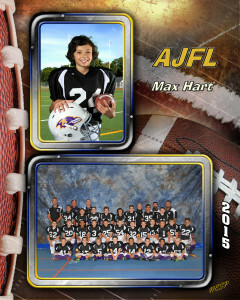 Our 10×20 Locker will look good on any wall or “cut to fit” any standard size school Locker ! ! 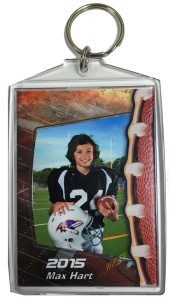 Perfect for refrigerators or lockers, our MVP magnets can personalized with players name and the year of requested. Bring your Team to your wall with our 10X20 photo pennant. This large format customized pennant will look awesome on any wall ! 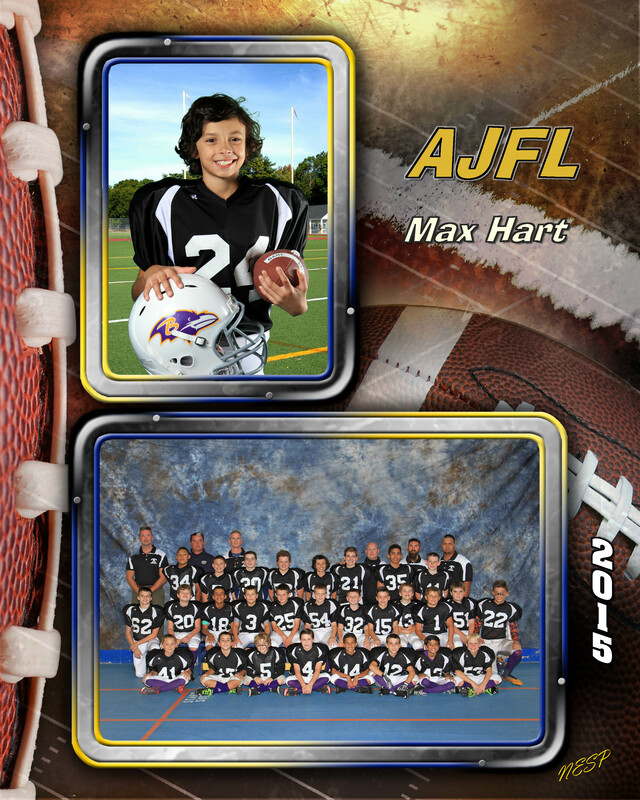 3×5 Individual photo and 5×7 Team photo on an 8×10 sheet. 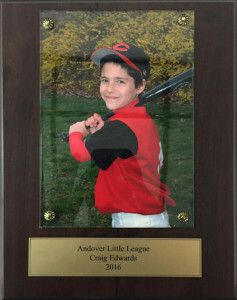 Photo includes Player Name, League Name and year. Wear your favorite player on your chest! 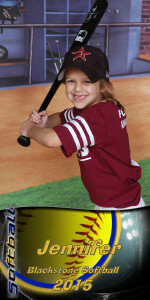 Our photo buttons incorporate our sport graphics with the player’s photo into a wearable souvenir. Custom engraved wood plaque. 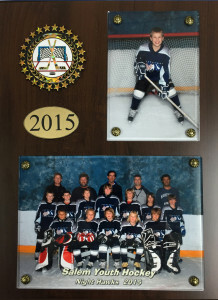 3×5 individual and 5×7 team mounted on a 9×12 wood plaque. 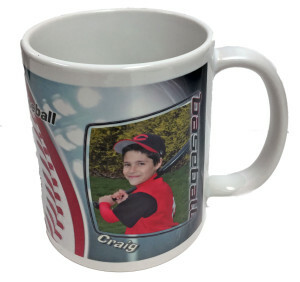 Have coffee every morning with your favorite player with or customized photo mugs. 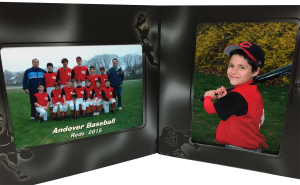 5×7 Individual Photo and 5×7 Team photo in a classic sports mount. The memory mate you had when you were a kid! 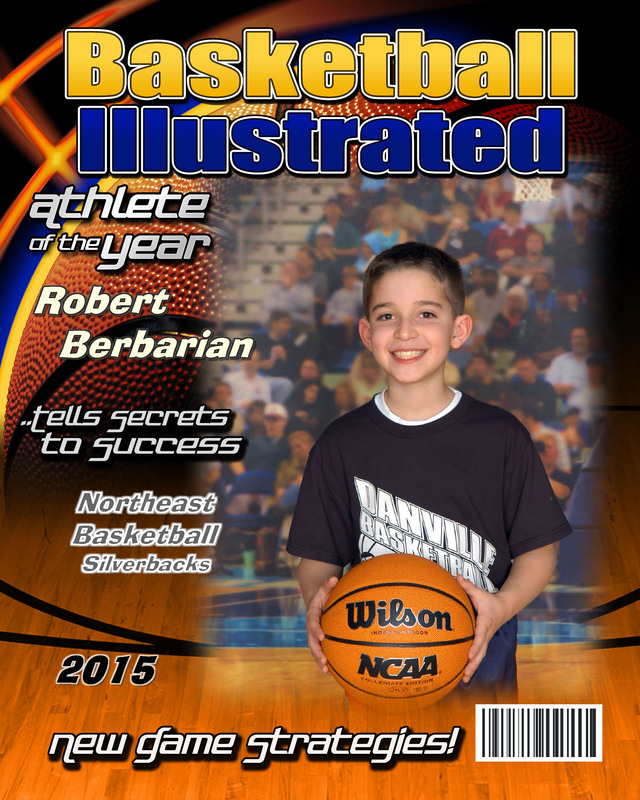 The cover includes a 5×7 magnet photograph of your child with his or her name displayed as the magazine’s feature!